by the sower atop the state capitol building. I hadn't been in Nebraska long before I began to admire the hard work and dedication and plain old stubbornness it takes to succeed as a farmer. But today's farmers have it so much easier than did the pioneers who settled this state. Of course pioneer farmers in 1860s Nebraska had it easy compared to their forefathers. And so it goes all the way back to biblical times when Ruth was gleaning fields. Growing and harvesting only 5 acres of wheat took about 250-300 man hours in 1830. 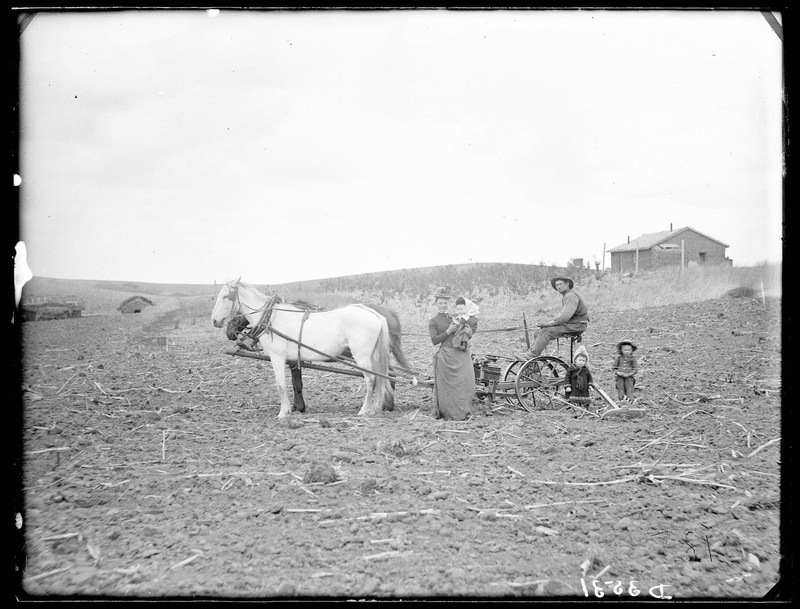 Farmers used a walking plow and a brush harrow. (I had to look up the word harrow to know what it does. It's used to cover over the seeds after planting.) Seeds were broadcast by hand (memorialized by that 19-foot tall statue atop the Nebraska State Capitol) and harvested with a sickle and flail. By 1850, those man hours had been reduced to 75-90 hours, thanks to inventions like the McCormick reaper, plows faced with steel blades, and threshing machines. 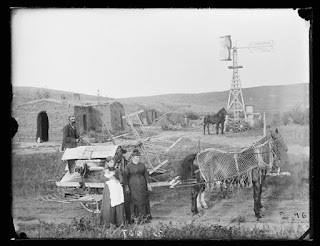 In 1881, Nebraska pioneer Giles Thomas wrote to his family in Wisconsin: "I am putting out sixty acres of a crop and have had every foot of it to plow and am doing it all myself with two horses. 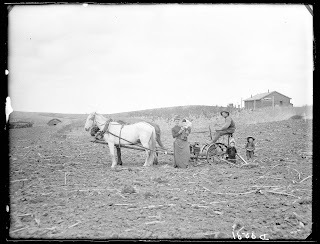 I put 10 acres to wheat, 10 to oats, 15 to flax, 2 Mamoth grass, and the rest to corn and garden...I have been in the field following plow and drag...I have been fearful tired at times but I feel good all over because I have my crops all in and in splendid shape. Considering the work my team has done, they look well and are in good spirits." 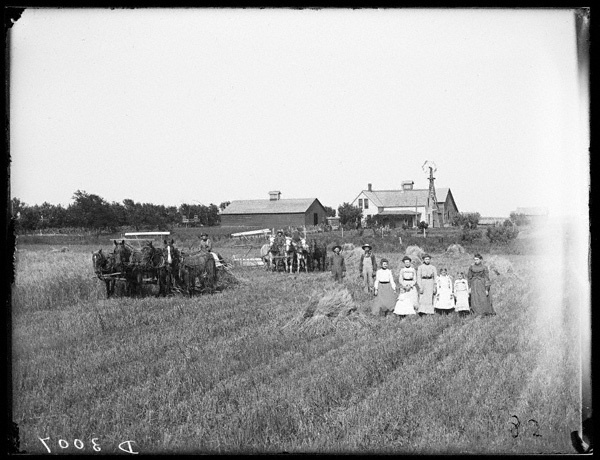 This was an era when 70 per cent of Nebraskans lived on farms, and children were expected to help with farm work. School met only from October to May, for children were needed to help with both planting and harvest. 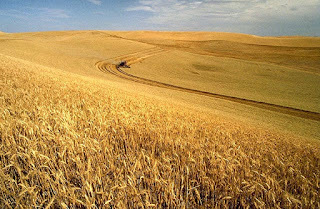 By 1890, a farmer could grow and harvest 5 acres of wheat with only 40-50 hours of labor. 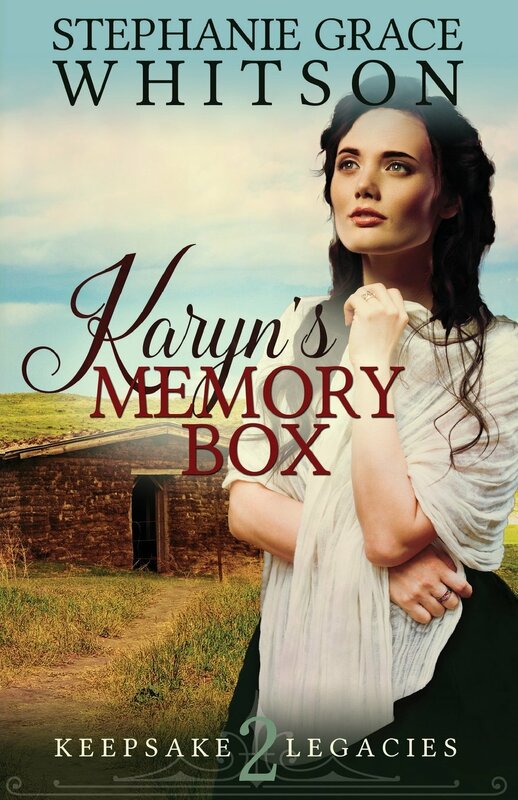 Their task was made easier by the existence of the gang plow,seeder, harrow, binder, thresher, wagons, and horses. And then, in 1892, inventor John Froelich built the first gasoline tractor. The 1930 farmer who, in 1830, poured 250-300 hours into harvesting 5 acres of wheat needed only 15-20 hours. 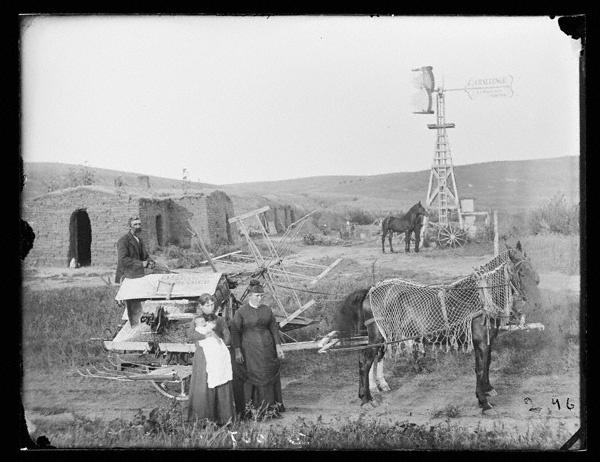 Gasoline-powered machinery revolutionized farming. Years ago, a woman sitting next to me on a plane asked where I was from. When I said Nebraska, she peered at me over the rim of her glasses. "And what does one DO in Nebraska?" The tone was superior, the manner almost sneering. It was one of those moments when I was put instantly on the defensive. Of course I came up with a great answer ... just not in time to provide it to the snooty easterner. "What does one do in Nebraska?" What chores were you expected to do as a child? 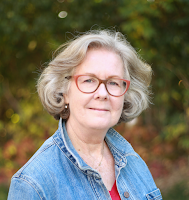 Award-winning novelist and HHH blogger Stephanie Grace Whitson (www.stephaniewhitson.com) began playing with imaginary friends (i.e., writing fiction) in the 1990s when an abandoned pioneer cemetery near the Whitson’s country home provided not only a hands-on history lesson for her four home schooled children, but also a topic of personal study. When not writing or researching, she enjoys reading, quilting, spoiling her dozen grandchildren and/or Kona Kai (the golden retriever), and riding her motorcycle named Kitty. The black and white photographs in this blog were taken by Solomon Butcher, a pioneer photographer who chronicled the lives of early farmers in Nebraska and provide an invaluable resource to contemporary historians. I was born in a little rural town, and my dad THOUGHT he was a part time farmer, but he really wasn't when you talk about Nebraska. Any venture my dad tried, I had to do a good share of the work, so with the vegetable garden I weeded, with chickens I cleaned cages and gathered eggs. I didn't have to do much with the sheep but helped with the lambs at tail-cropping time. YUCK. Eventually when I was a junior in high school, he rented a barn and had milking cows, so yup mucking gutters and milking cows at o'dark thirty became my part time job. I also helped hay, but was always mad because Dad wouldn't let me drive the tractor!!!! I'm only complaining a little....I think having to help with all this stuff gave me a pretty good work ethic. Thanks for the post! WOW ... no kidding about the work ethic! Whew! Seems to me that people who have actually done the work aren't nearly as nostalgic about "the good old days" as those who haven't LOL. Great post! Thank you for sharing! I was actually a small town mouse. My uncle was a cotton farmer and I remember a few times riding with my aunt and brining a trailer load of cotton to the gin. Cotton as a crop is really fascinating to people like me who are interested in textile history. I wince thinking of picking it by hand because of those "arrows" that surround the bolls. Great information. I enjoy this post.